Personally, I am a big fan of any tradition that involves great company and good food. One of these traditions that I got to know while visiting the Catalonia part of Spain is the Calçotada. Calçots are spring onions that are found in the region of Catalonia and as you can tell by the name they are the main focus of these festivities. 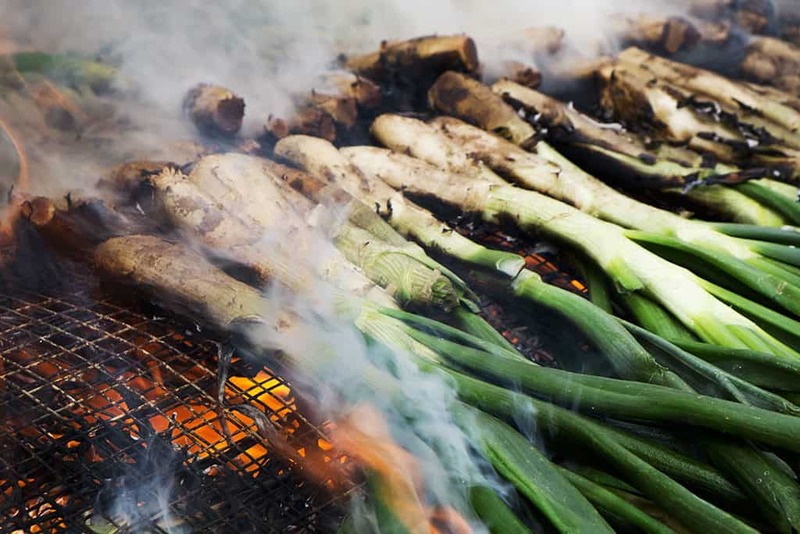 The calçots are grilled over a fire until their first layer turns blacks. Most authentically the calçots are served on roof tiles. In late winter/early spring this country fest is celebrated by anyone whether living in Barcelona or in any surrounding area. To eat the good part of the calçots one has to grab the onion by its remaining leaves with one hand and peel off the black burnt part with the other. The white and tender part of the onion is dipped into Salvitxada or Romesco sauce, a very tasty sauce that is always served along with calçots made from almonds, pine nuts, and/or hazelnuts, roasted garlic, olive oil and red bell pepper. Calçots are meant to be eaten by hand and once you dip them in the sauce stretch out your arm and let it drop into your mouth. As you can imagine this can possibly turn out to get a little messy that is why it is not unusual to see everyone at a calçotada wearing bibs. Along with spring onions meats are served and a calçotada easily turns into a fun barbecue type event. The season for calçots lasts into March/April so there is still time to visit Barcelona and join the festivities. I have to say that I have never been a big fan of onions and when I first heard of the event I was a bit skeptical, but I tried and I liked it right away. Calçots taste much milder, even a bit sweet compared to other onions and the dipping sauce adds to the great taste. 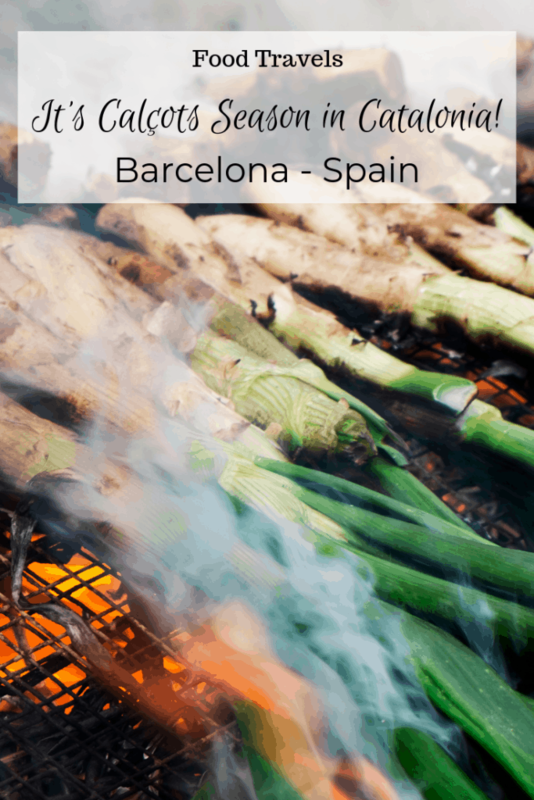 Many places in Catalonia host calçotada events, in particular the town Valls, known as the birthplace of the calçotada hosts a big event the Festa de la Calçotada where you among many other things can participate in an eating contest. How many do you think you could eat? Have you been to the festival? Is there a food festival you like to travel to? I just had calçots for the first time while in Catalonia last weekend, and WOW, they were amazing! I’m officially obsessed. While I can easily get the calçots in Madrid, it’s recreating the calçotada that might prove more difficult – not sure where I’m going to set up that fire! @Erin, I also saw an older episode of No Reservations where Anthony Bourdain ate these in Italy (or maybe it was France now that I think about it…) but they looked YUMMY! 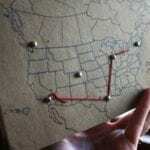 Oh interesting!! I had no idea what your title meant until I read.